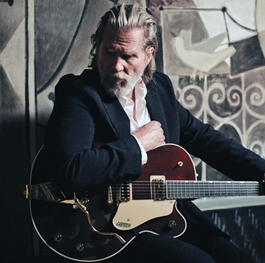 Oscar winner, bearded maestro and inveterate crusty old guy Jeff Bridges is joining Bruce Willis, Kevin Bacon, Jared Leto, John Corbett and Keanu Reeves (remember Dogstar?) by putting down the acting mask and taking his rock-and-roll sideshow on the road. But while Leto and Willis brim with ego and are annoying as hell, Bridges actually doesn't seem too caught up in all the Hollywood razzledazzle. On Aug. 24, Bridges hits up the Marin Center with his band the Abiders—as in "the Dude abides," although Lebowski diehards, of course, already know this. They'll be playing some of the catchy, melancholy country tunes like "The Weary Kind" and "Fallin' and Flyin'" from Bridges' Oscar-winning 2009 film Crazy Heart alongside new originals from his self-titled Blue Note records debut. Bridges isn't the best singer in the world, but his slightly ragged crooning works perfectly for a simple bluesy Americana sound. So move over, Jordan Catalano, and watch a real man show you how this singer-actor thing really works. Jeff Bridges and the Abiders abide on Wednesday, Aug. 24, at the Marin Center. 10 Avenue of the Flags, San Rafael. 8pm. $45-$75. 415.499.6800.